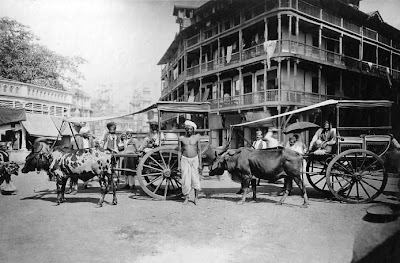 Here are a few vintage photographs I came across of Mumbai city. In a way not much has changed in the past 100 odd years, at the same time a lot of has changed. The monumental stuctures of the city are there without much modifications but the chaos and crowd has increased. Starting with the Victoria Terminal. She is still as beautiful and majestic as she was a decade (or so) ago. Notice the cars lined up after each other. 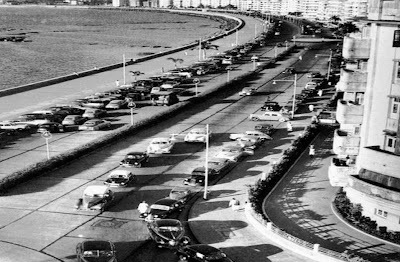 I guess the queens necklace was then as popular as it is today. Take a close look and you will see that most of the cars are parked on the road, which is an immpossibile thought in todays time. Here is the a less crowded Kalbadevi Road. 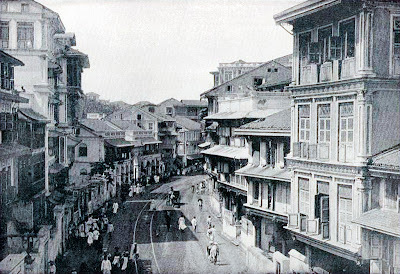 Can you imagine crawford market this peaceful and hawkerfree? 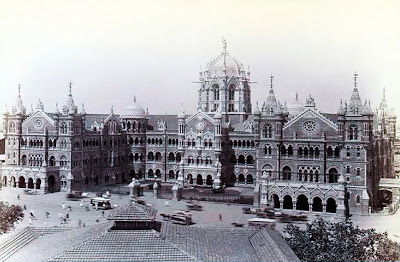 And can you say that this is our churchgate station?